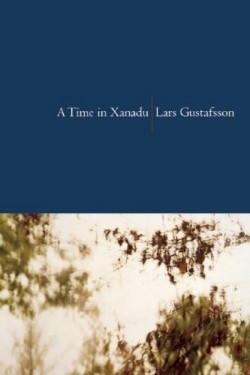 Gustafsson’s A Time in Xanadu, his third translated collection of poems, manages to be personal and quirky while also deeply philosophical. Previous poems and novels—he has also written seven novels and one collection of short stories—have won the Prix Européen de l’Essai Charles Veillon, the Swedish Academy’s Bellman Prize, and the Swedish Pilot Prize. Between 1982 and 2004, he taught philosophy at the University of Texas at Austin, and presently is Jamail Distinguished Professor Emeritus in Stockholm, Sweden. The tone of Gustafsson’s poems, as translated by John Irons, is often that of a gentle thinker. “Novodevichy Cemetery” begins, “How strange even so the fact / that Kaganovich, the mass murderer, / and Mikhail Bulgakov / share after death the same narrow plot,” and ends with an old lady, her belongings in a plastic bag, walking pensively between the gravestones, “Like Virgil and Dante, slowly talking with the dead.” The reader does the work of putting all these together, as the poem’s speaker is doing. Gustafsson’s poems are always interesting—not only intellectually, but emotionally. “Morphica” depicts the god Morpheus as “a slender-limbed youth” who lives “in the lukewarm autumnal water,” on the waterline between sleep and waking, “lies there like a / drowned man still alive.” The poem feels exactly accurate and disturbing, an exact portrait of a particular emotional condition. The final section contains six “Poèmes en prose” which function both as a coda and as another level of seeing. The final four are portrait poems that turn out to be musings about the effects on the mind of reading a religious tract, of standing still as public performance, of swimming a long way alone, and of filling the mind with names. Each is its own philosophy.